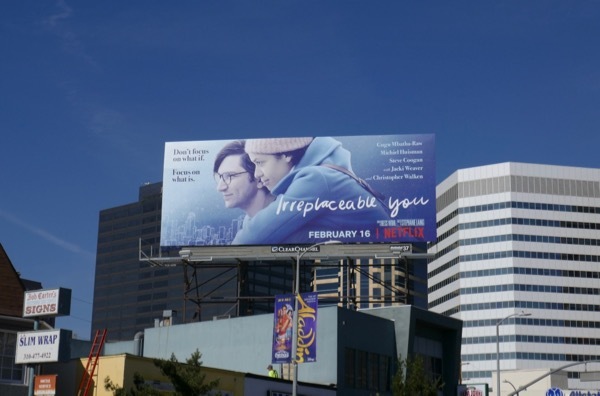 If you're looking for a good cathartic cry this weekend then maybe Netflix's new romantic comedy drama Irreplaceable You will do the trick. 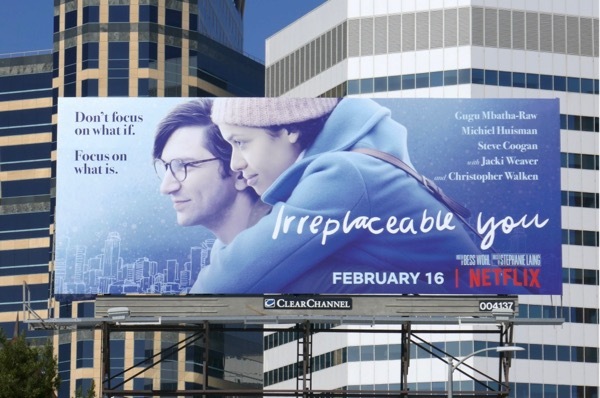 In the movie The Cloverfield Paradox's Gugu Mbatha-Raw plays 'Abbie', a young woman about to marry her elementary school sweetheart (played by Game of Thrones Michiel Huisman). Looking forward to their life together and also thinking she's expecting his child, at the doctor's the couple receive the devastating news she's actually got terminal cancer. Rather than dwelling on the inevitable, Abbie starts auditioning replacements to share their life with her boyfriend if she can't, plus attends patient group therapy with the likes of Christopher Walken, Steve Coogan and Kate McKinnon. 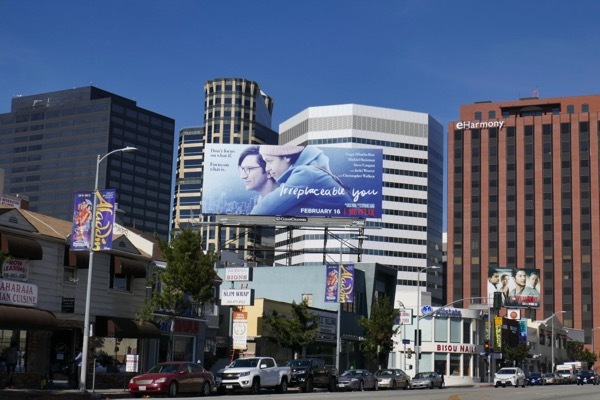 This sweet movie billboard was spotted above Westwood Boulevard on February 4, 2018. 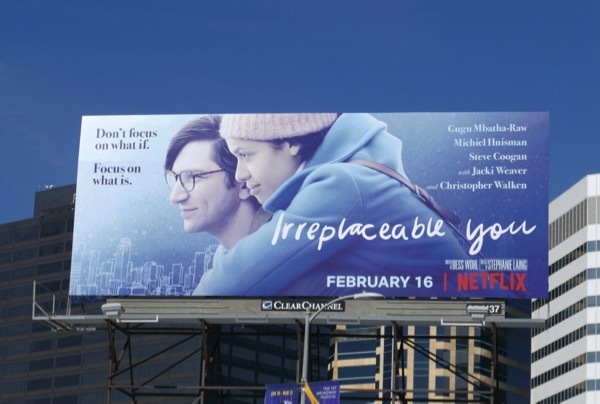 Clever fans of Gugu Mbatha-Raw can also spy her on this giant billboard for Disney's Beauty and the Beast movie, whilst admirers of Michiel Huisman can check out these movie billboards for The Age of Adaline. Here's hoping this weekend weepy hits the spot and remember, life's too short to worry about the future, enjoy the here and now while you can.